Good impression in a good clean condition with no folds, tears or stains. With full plate border and margins on a sheet of woven paper from the period. From the early edition of 1803. A rich merchant returned in the harbor count's his money while death himself, comes up, showing an hour glass running down. 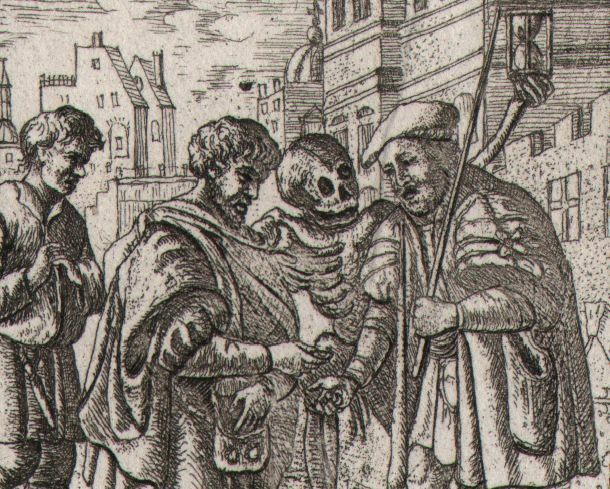 Hans Holbein's Dance of Death redefined its own genre. 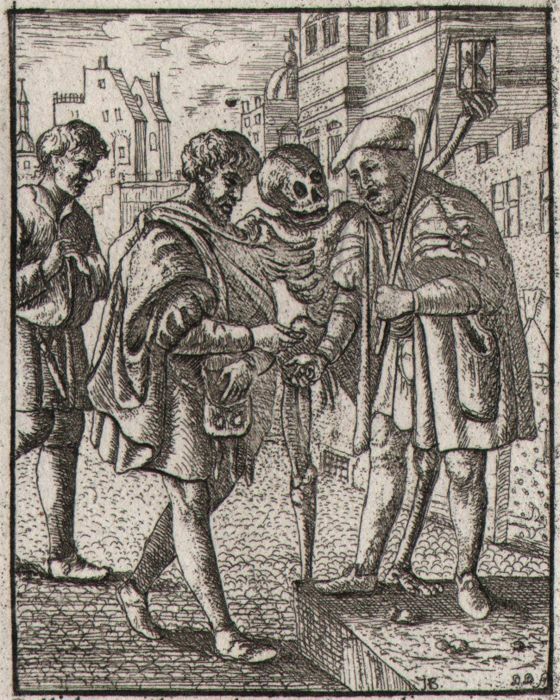 In Holbein's work, Death is still very aggressive; however, it does not dance with the deads anymore, but intervenes directly in scenes of everyday life. 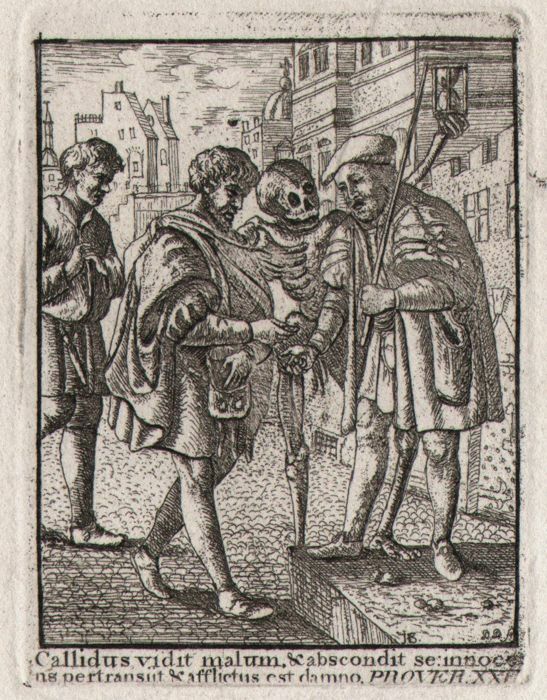 The series where engraved by a number of artists over the years such as Hollar and Mechel. Deuchar inspired his work on the older examples. 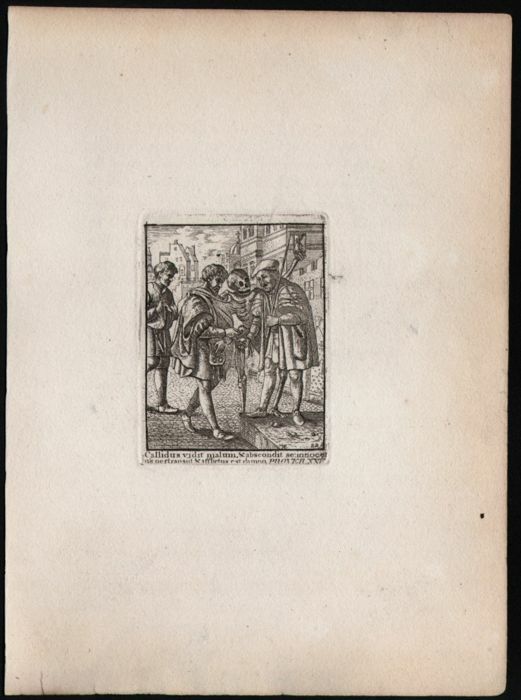 In most prints he is very near to the work of Hollar although he shows more scenes. 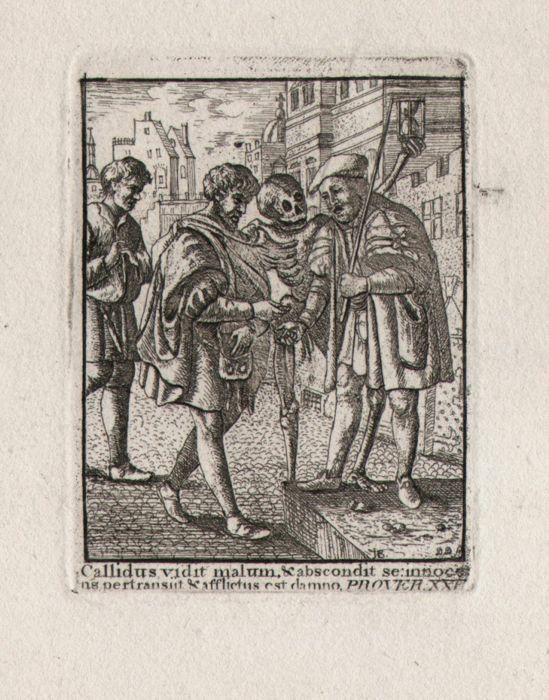 Painter, draughtsman and designer of woodcuts, glass-paintings, ... born Augsburg 1497/8- died London 1543. Son of Hans Holbein the Elder. 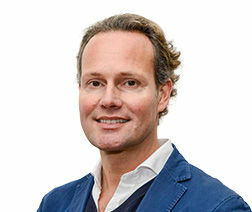 Vous pouvez également retirer ce lot chez le vendeur: Izegem (), Belgique.